Today I'm sharing my third project from Vintage Quilt Revival, the Cross Point Quilt. 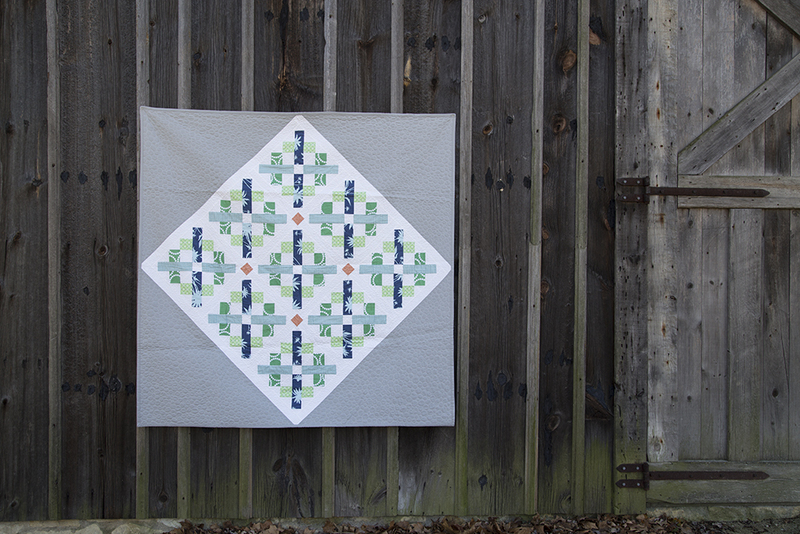 This quilt is loosely inspired by medallion quilts, with the design focus being on the center of the quilt. The blocks are placed on point. For the quilting, I decided to quilt pebbles in the grey area and free motion meander in the white area. I won't lie, the pebbles took a long time! I did a corner a day over a 4 day period. I just really love this block. Here's a scrappy version I made during testing. It is a paper pieced block. The last week has been pretty exciting, watching the book pop up here and there. Besides being available in my shop, you can also find it now shipping from Lee, Katie, Fat Quarter Shop, The Intrepid Thread, Barnes and Noble, Walmart...not sure what's taking Amazon so long but it's still listed as a "pre-order" there. So that's it! Three shares down, three to go! I can't wait to show you the rest!